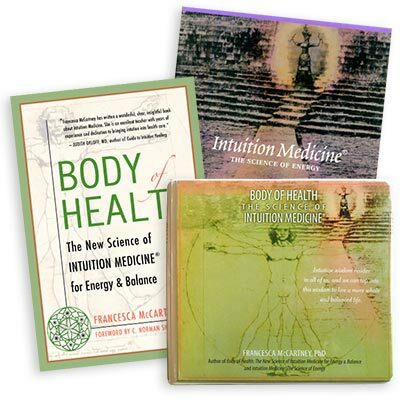 The core required reading for the Academy program are the books Body of Health: The New Science of Intuition Medicine®, Intuition Medicine®: The Science of Energy plus the 8-CD/MP3 set Intuition Medicine®, all authored by Francesca McCartney. All three can be purchased on our website. Below you will find a curated booklist of supplementary reading for all the courses and MIM modules. These books can be found at Amazon and many other online sources.